The Catholic faithful in Fiji is divided over the appointment of an Archbishop as co chair of the People's Council. 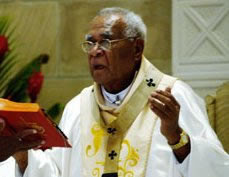 Radio Australia reports that a delegation of the faithful has met with Archbishop Petero Mataca about his appointment. The interim government has developed the council to draft a people's charter, involving Fiji organisations and the community to outline a plan for Fiji's future. A member of the delegation and parishioner Kenneth Zinck said the delegation agreed to disagree with the Archbishop about his appointment. Mr Zinck is also a former member of the deposed Qarase cabinet. He told Radio Australia he believes the Catholic Church should not be part of Fiji's people's council. "I am opposed to it because by joining, by joining as co chair, he is making a political statement." he said. "I believe that the Church should be apolitical and independent in its stance."